Steven Bercu, a business and intellectual property attorney and Cambridge resident, is a passionate advocate and promoter for bicycling, active transportation, and ecologically sensitive urban design that nurtures the human spirit. He is inspired by a vision of an urban future that transcends car-dominated landscapes and streetscapes. A Cambridge/Boston bicycle commuter since 1990, Steve has noticed many improvements to bicycling conditions over the years, yet believes there is still a long way to go for bicycling to achieve its potential in the region as an everyday transport mode. In addition to serving as Board President of the Boston Cyclists Union, Steve as Board President of Ecocity Builders, and on the boards of the Helen & William Mazer Foundation and the Massachusetts Land Conservation Trust; as well as on the Land Conservation Committee and Boston Committee of The Trustees of Reservations, and on the Board of Overseers for the ICA - Boston. Angela spent the first 22 years of her life in Texas where she was raised in Missouri City, a mid-sized sprawling city within the Greater Houston Area. Growing up, she went from wanting to be a meteorologist (still a weather geek, though), architect (still a design critic, though), and through a flurry of activity during her first year of college, Angela committed to staying in what was then the largest city without a public transportation system in the United States - Arlington, Texas. While there, Angela moved onto studying transportation issues, which eventually brought her to Boston in 2012. At BCU, Angela started out as a GIS Intern during Summer 2014 and stayed in touch as a volunteer for the Research Group with the Low Stress Network project. Outside of being the Board VP and the Transportation Justice Organizer at Transportation for Massachusetts, she’s more than likely training at her neighborhood dojo because stress is real. Phil is an avid cyclist (commuter, racer of road and cyclocross, long distance rider, around town, etc.) who has been biking to work at Boston Health Care for the Homeless Program almost every day for the last five years. During his time at BHCHP he’s worked as an Americorps volunteer, case manager, front desk manager, and project manager, and he plans to bring skills from each of those roles to the Union. Christine is a communications professional with 15 years of experience in marketing and fundraising. She is currently employed by Dana-Farber Cancer Institute where spearheads the marketing strategy to the Institute's major donors. Christine and her team at the Jimmy Fund create marketing materials, assist with proposals, and write about the amazing scientific advancements pioneered by the Institute. She also has extensive expertise in grant writing, annual fund strategies, social and emergent media, and experiential/immersive marketing. 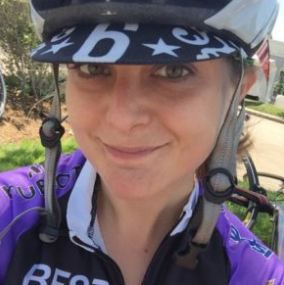 Christine believes in the power of the bicycle to change lives and is now enjoying her second stint as a Boston Cyclists Union Board Member. This time around,Christine intends to focus her efforts on soliciting major gifts and writing winning grant proposals. She rides to work daily on her fixed gear and also enjoys getting out for longer rides on her road bike on the weekends with friends. Paul started cycling in 2013 after accidentally committing to a 64 mile charity ride during a bar crawl. Since then, he’s found riding a bike is one of the best and most satisfying ways to get around and believes everyone deserves access to safe and accessible bike lanes, regardless of where you live and work. He’s participated in three fundraising bike rides, ridden over the BU bridge and back too many times to count, and bikes to work and around town as often as Boston weather permits. He currently works as a major gift officer at Boston Medical Center and has professional experience in higher ed admissions, consultative sales, and healthcare fundraising. A BCU member for three years, he joined the Development committee in 2017, the Board in 2018, and is Vice-Chair of the Development Committee. He was one of the co-founders of OneGordon, an LGBT alumni association of Gordon College, and has served on the GLBT Commission of Cambridge and the Steering Committee of Fenway Health’s Young Leaders Council. 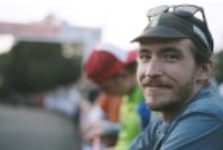 Alan has been involved in the bicycle & nonprofit world for over 7+. At the BCU, he serves as the chair of the Finance & Operations Committee. Previously, he worked in membership management, database administration, and website project management at Cascade Bicycle Club in Seattle, Washington. 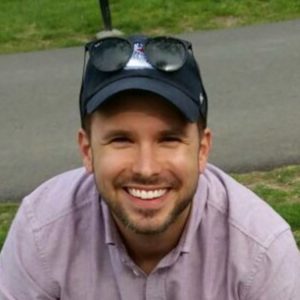 Currently, Alan is a project manager with Jackson River and helps progressive nonprofits improve their fundraising, advocacy, and overall digital marketing and strategy. He aims to bring current digital best practices and a focus on eliminating technical inefficiencies to the BCU. He also wants to make it as safe and easy as possible for those of you who are interested-but-concerned to ride in the greater Boston area. Outside of the BCU, Alan is an avid runner. Perhaps you will see him at a Tuesday night Runfellow Run Club outing. He also rides around town on his red/white/blue Bianchi Virata or his scrub green Traitor Ruben. Originally hailing from the Sunshine State, Jason is a Boston transplant who caught the cycling bug shortly after moving to the city. Since then, he has volunteered with the BCU's Governance Committee before recently joining the Board of Directors. Through the organization, he hopes to make Boston a better, safer, more fun place to ride. An in-house employment attorney by day, Jason also loves cooking, concerts, hiking and hockey. Jess has been an active member of the BCU for years - she has been a volunteer, community organizer, volunteer trainer, and our bookkeeper. She lives in Mission Hill and is currently employed as a software project manager to help people save energy. She fell deeply in love with every corner of Boston through her previous roles at the City of Boston in City Council and the Environment and School departments. 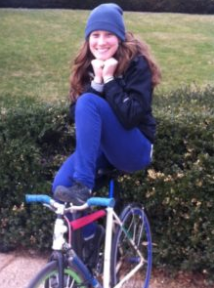 Jess is also an avid gardener, as well as a member of Femmechanics, a group of FTW people who bike in Boston. 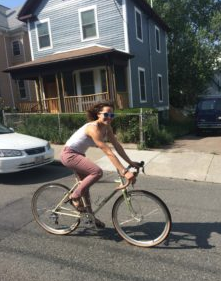 Daniela's love of cycling and interest in urban planning brought her to the Boston Cyclists Union when she took a break from her project management work for a summer. She fell in love with the mission of the Bike Union and decided she wanted play a bigger role in the bike advocacy world. She applies her project management and--dare she say it--corporate experience to the development committee to find ways to grow the union and to help plan/coordinate the many fun events the Bike Union puts together. 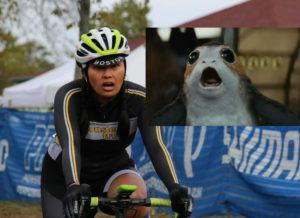 Valerie Enriquez is the librarian for Ironwood Pharmaceuticals and races cyclocross for Team Monster Truck. When she is not working or on the bike, she is hanging out with her cats Izzy and Otto, probably reading or knitting and binge-watching something geeky. Peter Furth grew up riding a bike in Washington, DC, coached by his Austrian father who didn’t believe in chauffeuring kids, and who taught him, “Don’t worry, Peter; the cars are more afraid of you than you are of them.” At a young age, he determined that one mark of success in life was to not lose the pleasure of everyday bicycle riding when he became an adult. Peter reports that he has been successful. Peter earned his BS, MS, and PhD degrees at the Massachusetts Institute of Technology, and has been a professor of Civil Engineering at Northeastern University since 1981, teaching a full range of transportation planning and engineering courses, and serving as Department Chair from 2001 to 2007. He has published more than 40 papers in the field of public transportation, traffic signal control, and bicycle transportation. Peter is a member of the Institute of Transportation Engineers, the American Society of Civil Engineers, the Transportation Research Board, and the Association of Pedestrian and Bicycle Professionals. As a teacher, Peter has supervised student project designs of more than a dozen bikeway projects in the Boston area, of which some have been built and others are in planning stages. 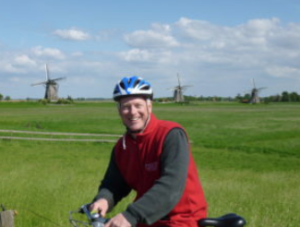 In the summers, he teaches a study-abroad course in the Netherlands in the field of Sustainable Transportation. Through that course, as well as a year that he spent living in the Netherlands with his family, he has become familiar with Dutch bicycle traffic planning and engineering practice. As a bicycle planner, he has been a featured speaker at the Transportation Research Board, Move Mass, the Livable Streets Alliance, and at bicycle advocacy meetings in places as far away as Boise, Idaho. Peter has also been active in bicycle advocacy himself, including service on the Bicycle Advisory Committees of Boston and two neighboring communities, and as a member of the Technical Advisory Committee of MassBike. Dave is the Vice President for Ambulatory Practice Operations and Chief Administrator for Department of Medical Oncology at Dana-Farber Cancer Institute. 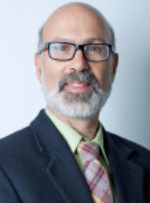 He serves as the leader of the departmental core administrative team and is charged with managing all financial, personnel, and operational elements of Medical Oncology and the non-faculty or nursing staff in the adult Yawkey clinics. Reporting directly to the Chief Medical Officer (CMO) and Departmental Chair, he is responsible for the Institute's largest department which includes oversight of 1700+ clinical and research employees. His top priorities have been improving patient access to Dana-Farber and improving the patient’s overall experience. In prior roles he served as the Administrative Director for Cardiology at Massachusetts General Hospital and Chief Operating Officer for the Department of Medicine at the University of Pennsylvania Health System. He received an MBA from Boston College and a Masters in Public Health from the Harvard School of Public Health where he studied epidemiology and health policy. He is the founder of the Longwood Cyclists group who are advocating for safer ways to commute to the medical area by bicycle. He serves on the board of the East Coast Greenway and the Boston Cyclists Union. He also does some woodworking and had made most of the furniture in his home (davidreadwoodworking.com). He lives in Topsfield, MA with his wife and 2 children. 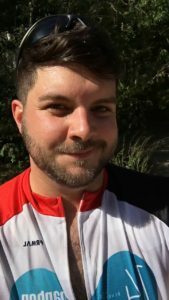 Jason is an MRI researcher by trade and a lifestyle cyclist who is eager to get involved in bicycle advocacy and organizing in Boston. Before moving to the Bay State, Jason was gubernatorial appointee to the Connecticut Bicycle and Pedestrian Advisory Board, where he served as secretary and webmaster. As a board member of ElmCityCycling and a member of Rail*Trains*Ecology*Cycling, Jason was also active in a successful multi-year campaign to add bicycle hooks to Metro North railcars between CT and NYC. Remy Morrison started taking cycling seriously in middle school, when he discovered how easy and enjoyable it made getting across town to see his friends. Though that still plays a major role in Remy’s riding, his relationship to bicycling has grown and deepened over the past couple decades, eventually crystalizing into the central cause that drives him today. While a student at Boston College in the early 2000s, he joined the ranks of Boston’s bike messengers and experienced firsthand a somewhat combative Boston, devoid of bike lanes or even sharrows. 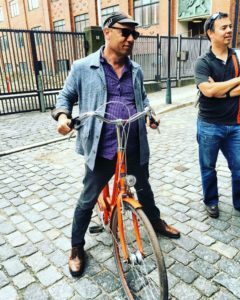 Eager to help turn Boston into a riding city and make biking more accessible to everyone, Remy joined the BCU’s founding Board of Directors in 2011, adding his analytical knowhow, on-the-street experience, and passion to the burgeoning institution. 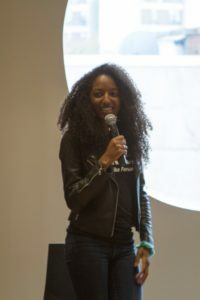 Now a Somerville resident and healthcare research director, Remy has rejoined the Board invigorated by the Union’s mission and excited by its new perspectives on activism, anti-racism, and advocacy. 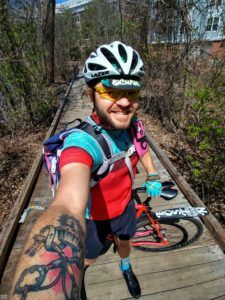 His own evolution as an avid cyclist (year-round commuter, cyclocross racer, bold sprinter, long distance rider, group ride organizer and trainer, etc. ), as well as his connections with Boston’s now multifold bike communities, are what inspire him to help make the BCU the binding force and power player in all matters cycling in the city. Are you interested in joining our Board of Directors? We are currently accepting applicants! Learn more about the position and nomination process here. For more information about our volunteer committees, click here.